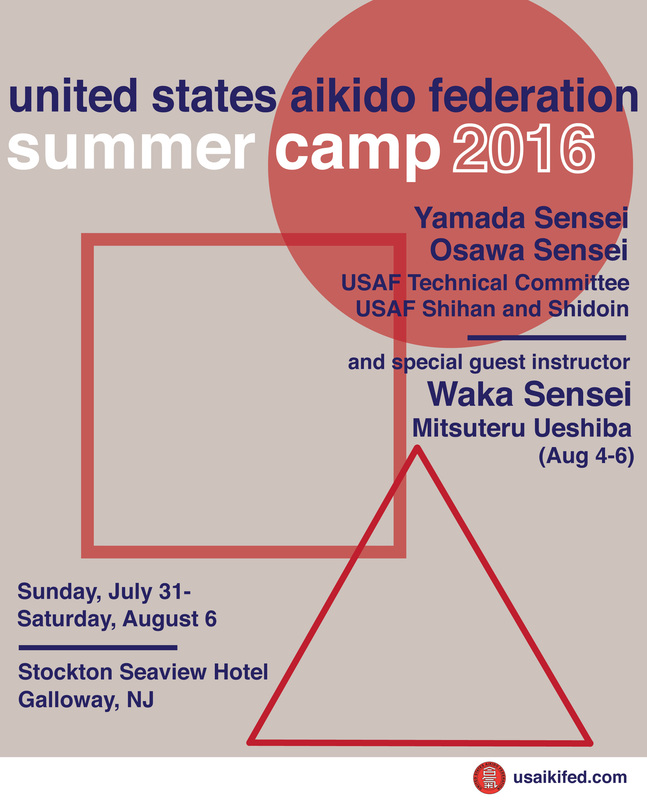 Once again, Stockton Seaview Hotel and Golf Club, located at 401 South New York Road, Galloway, New Jersey USA, will be the venue for the 2017 USAF Summer Camp beginning Sunday, July 30th and ending Saturday, August 5th. 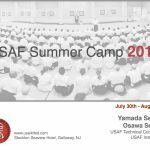 To accommodate Aikido camp participants and their family and friends, the hotel has blocked off a number of rooms at a discounted rate, including a very limited number of rooms for arrival prior to camp on Saturday, July 29th. You are encouraged to register for a Camp Package and book your hotel room as soon as possible. Although you will have to pay in full for your Camp Package at the time of registration, you will not incur charges for your hotel reservation until your actual stay. The DEADLINE for registration is Friday, June 23rd but the blocked off USAF discounted hotel rooms may be fully occupied prior to the DEADLINE. AT THIS TIME THE HOTEL IS SOLD OUT FOR FRIDAY NIGHT, AUGUST 5TH AND A WAITING LIST HAS BEEN STARTED. THERE ARE A LIMITED NUMBER OF ROOMS FOR ALL OTHER NIGHTS. 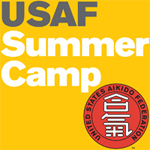 1 – Register for your Camp Package at www.usafsummercamp.com. 2 – After purchasing your Camp Package online, follow the link in the message to complete the hotel’s enrollment form and to reserve your hotel room. 3 – If you registered for a Full Week or 2nd Half Week Camp Package, please choose your hotel reservation dates based on what is currently available – that is, through Thursday night. 4 – If you are sharing with someone who has already reserved a room (including for Friday night) and you are paying with your own credit card, you still must complete the enrollment form (naming your roomates) and make a hotel reservation (but exclude Friday night). The hotel needs your reservation for informational purposes and will adjust the rooms once your enrollment form and reservation are reviewed. 5 – To be placed on the waiting list for a Friday night room, please email Karen at karendepaola@usaikifed.com with your request. The hotel will be reviewing room availability and our waiting list and will do its best to accommodate your Friday night requests as soon as rooms open up. We will also keep you posted as more information from the hotel becomes available. Please share this information with others who may be planning on attending summer camp but have not yet registered. At this time there are only 25 USAF discounted rooms left in the hotel for people purchasing full week camp packages (Sunday-Saturday). If you plan on coming to camp for the full week, you should purchase your camp package and reserve your hotel room as soon as possible. 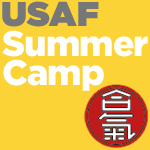 Also, the USAF room block has reached full capacity at the camp rate for the Saturday prior to camp (July 25th). You may still reserve a room for Saturday, July 25th but at an increased rate of $209 plus tax which does not include breakfast on Sunday morning. Please click here for more camp/hotel information and to proceed with your registration. If you are planning on attending camp this year, we highly recommend you register for a camp package (half or full week) and make your hotel reservation as soon as possible to take advantage of the limited number of USAF discounted rooms still available. Also, the Saturday prior to camp (July 25th) has a very limited number of rooms at the USAF discounted rate. The rate for Saturday, July 25th, will then increase to $209 (plus taxes & fees) and will not include breakfast on Sunday morning. If you are not purchasing a camp package, you can pre-register as a day participant. There is no registration deadline for day participants. 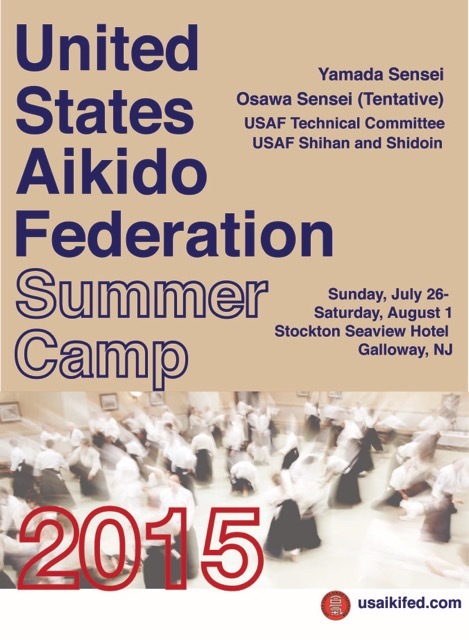 Once again, Stockton Seaview Hotel and Golf Club, located at 401 South New York Road, Galloway, New Jersey USA, will be the venue for the 2015 USAF Summer Camp beginning Sunday, July 26th and ending Saturday, August 1st. 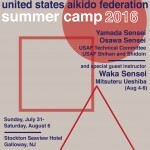 To accommodate Aikido camp participants and their family and friends, the hotel has blocked off a number of rooms at a discounted rate, including a very limited number of rooms for arrival prior to camp on Saturday, July 25th. You are encouraged to register for a Camp Package and book your hotel room as soon as possible. Although you will have to pay in full for your Camp Package at the time of registration, you will not incur charges for your hotel reservation until your actual stay. The DEADLINE for registration is Friday, June 19h but the blocked off USAF discounted hotel rooms may be fully occupied prior to the DEADLINE. We have recently been informed that Osawa Sensei will be undergoing shoulder surgery later this winter. Because of this, we are unable to confirm whether or not he will be able to attend our summer camp until later in the spring, when we learn more about his recovery. The class schedule will continue in its usual capacity and we suggest early registration and reservations so as to secure your place at camp. We wish Osawa Sensei a speedy recovery and hope he will be able to join us for another wonderful week together. We will keep you posted as the situation progresses. 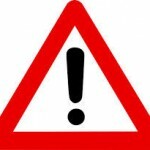 CAMP CANCELLATIONS – All camp packages are non-refundable after SUNDAY, JULY 13th (case-by-case consideration will be made due to emergency or health concerns). FINALIZING ROOM ARRANGEMENTS – Please email either Laura or Karen with changes/cancellations to your hotel reservation no later than Sunday, July 13th. Please do not have anyone just “drop in” and stay in your room without registering them with the hotel. This is not allowed as per our contract, and puts our relationship with the hotel in jeopardy! 1) If you listed your roommate as “unknown” and no roommate assignment has been made, the hotel will allocate either a king or 2 double beds, based on availability. 2) If you listed children in your room but did not purchase a camp package for them – they may join you for aikido dinners free of charge if they are under 5. If they are 5 and older and did not purchase a camp package, they will not be able to join you in the dinner dinning room. 3) If you are not registered for Camp AND do not have a hotel reservation – Day Passes are available. 4) Every person staying in every room must be registered with the hotel. Contact Laura at laura@usaikifed.com or Karen at karendepaola@usaikifed.com prior to the Sunday July 13h deadline. Please note that having friends “crash” in your room is not permitted. Please be respectful of our working relationship with the hotel and help us maintain our outstanding reputation with the staff. You listed your roommate as “unknown” and no roommate assignment has been made – at this time the hotel is assuming you are staying in your room alone and will allocate either a king or double based on room availabilities. You listed you have children staying in your room but did not purchase a camp package for them – if they are 5 or older they will not be able to join you for the aikido group dinner for 2nd half week. If you are staying full week, you can purchase a 1st half week meal plan for them. If they are under 5 they eat for free and can join you in the aikido dinning room for the full week . You are not registered for Camp (full or 2nd half week) AND do not have a hotel reservation AND not sharing a room – Day Passes are available. You have a room for the full week or 2nd half and would like to add a roommate – if your roommate will be purchasing day passes or is a family member and will not be part of the aikido camp (no packages/dinners), please contact Laura or Karen with your roommate’s information and we will notify the hotel. In order to be placed on the waiting list for either 2nd half week or full week camp package and/or hotel reservation, please email your name and desired camp package and/or hotel check-in and check-out dates to karendepaola@usaikifed.com or laura@usaikifed.com. There are no guarantees that spots will open up, so please consider alternative options (1st half week or day passes) in order to secure your place at camp.